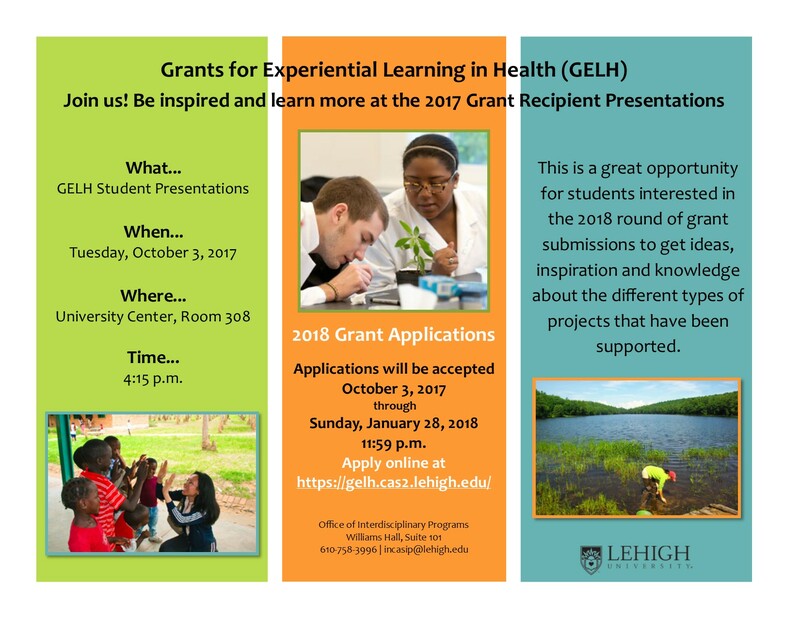 GELH 2017 Recipients Presentations- Come Be Inspired! This is a great opportunity for students interested in the 2018 round of grant submissions to get ideas, inspiration and knowledge about the different types of projects that have been supported. Applications will be accepted October 3, 2017 through Sunday, January 28, 2018 at 11:59 p.m.